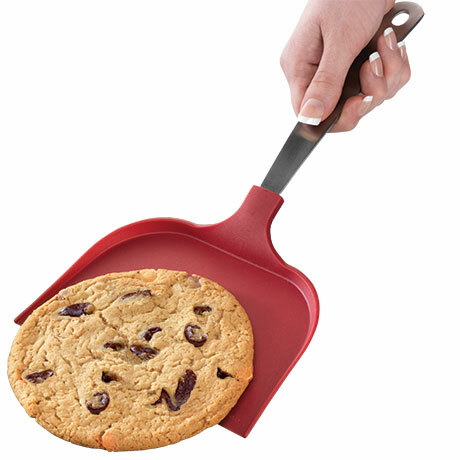 This spatula beats the rest! Whether it is tater tots or cookies, you will love the time saving ease of removing several at a time, fresh from the oven. Sturdy metal with silicone coating.